In this guide, we explain to you how to install this application and create the first knowledge base. 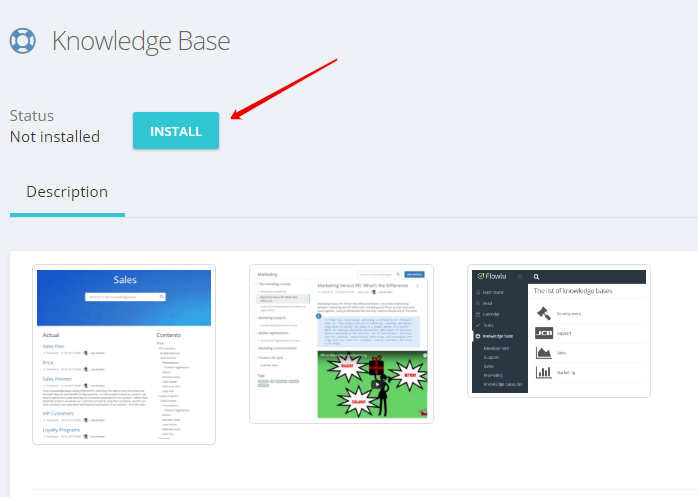 After installation, the section "Knowledge base" will appear in the list of installed applications. 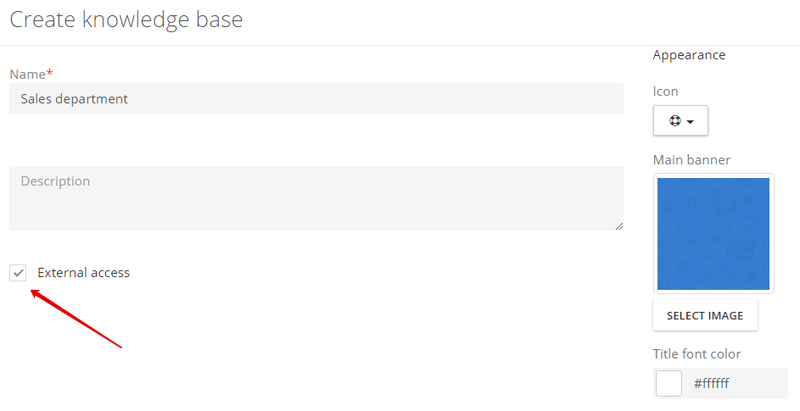 In the opened sidebar, enter the name and description of the knowledge base if necessary. You can immediately open access to the knowledge base via an external link. To do this, check the External access box. An external link will be generated automatically and be displayed after the knowledge base is created. 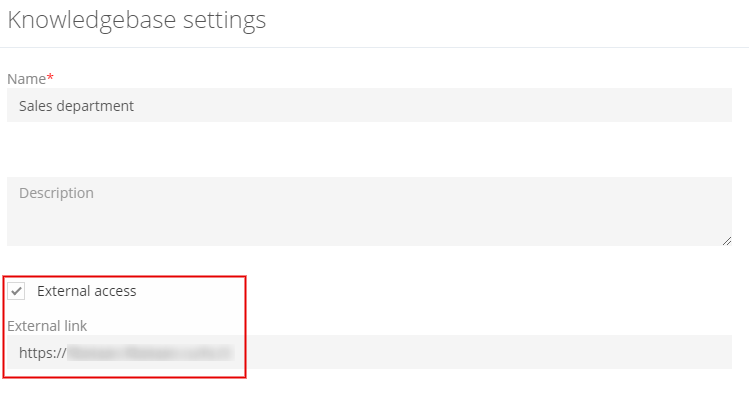 You can see it in the knowledge base settings. Via an external link, everyone can access and read articles without accessing the system. The knowledge base is adaptive and easy to read even from a mobile device. Load a background image for the main page. Supported Formats GIF, PNG, JPEG, WBMP, and XPM. The font color of the title. 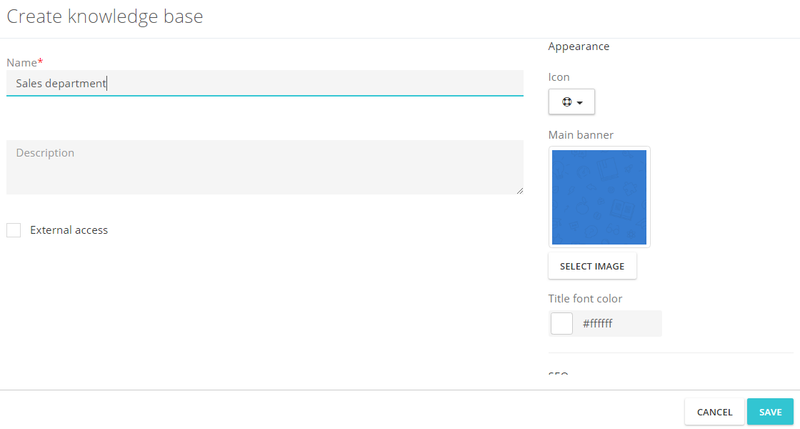 Select the color of your knowledge base header, which will be displayed on the main page. The rest of the settings are for the external knowledge base.